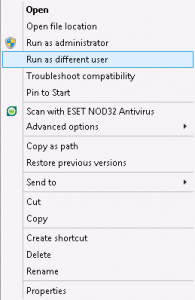 Problem / Symptoms: Users need to test Dynamics AX setups as different users. 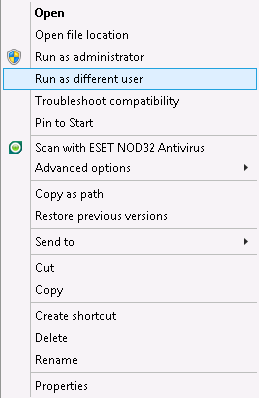 If you are running via config files this solution will not work, you will need to first create an AX32.exe shortcut that takes the config file as a parameter E.G. runas /user:user1@mydomain "\"c:\Program Files (x86)\Microsoft Dynamics AX\60\Client\Bin\Ax32.exe\" \"C:\myconfig.axc\""
← SSRS Report and Viewer Not displaying in AX2012 R2.